You are here: Home / Style & Lifestyle / A simpler life / Moving – a burden or a blessing? Moving – a burden or a blessing? Can’t seem to find who said it – but I think this quote is very fitting, and real to most of us expats. Anyone who has ever packed up a home and moved to another country knows how shocking it can be to see everything boxed up. My husband and I have done this 6 times already in the last 15 years – 5 times with kids. We started with just 14 boxes for our first move, and I won’t mention how many we had in the last, but let’s just say it finally turned us into the minimalists we are today. Enough is enough! And as a seventh move is coming up this summer, we have already started going through everything we own, room by room, cupboard by cupboard and shelf by shelf. The thing is, unless you are moving to a remote island, not connected to the rest of the world, you don’t really have to bring all your stuff. 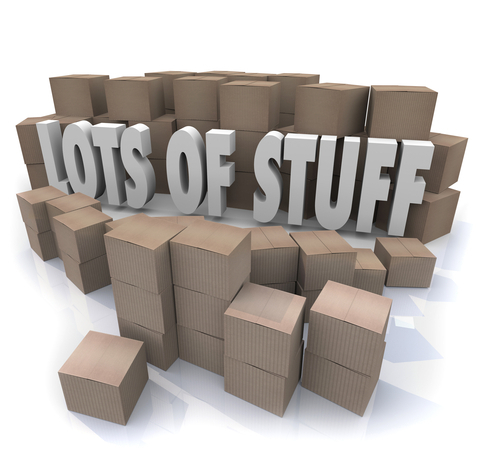 When every single item has to be wrapped, packed and boxed – to be shipped, unpacked, unwrapped and found a new place to be stored – you start thinking about the value of each of these items. For years we moved everything we had, including plenty of items that had over and over been wrapped, packed and shipped only to be stored and forgotten until the next move. Joshua and Ryan – the Minimalists – have a great rule for those “just in case” items we seem to all have. I try to apply it as much as I can this move. They call it the 20/20 theory. If an item can be replaced for less than 20 dollars and can be found less than 20 minutes from home – there is very little reason to hang on to it. In other words – get rid of it! A typical example: You just cut your hair short, but you are saving all the hair pins, scrunchies and clips just in case you’ll ever go back to long hair. What about books – only keeping them in case you might want to read them again? Or old towels that you keep “just in case”? Or any other “extra items” that you have, thinking you might need them one day – like those extra plates and glasses in case you ever have 20 people visiting. We recently had, and my 7 large + 6 small plates wasn’t enough. Guess what – I borrowed plates from a friend! Moving can be a never-ending horror of boxes and bubble wrapping. But it can also be a fresh new, lighter, start, if you dare to let go of (some of) the past. And your “just in case” items. Who knows – you might never actually need those things anyway!